python-catalin: Python Qt5 - QColorDialog example. Python Qt5 - QColorDialog example. Today I will show you how to use the QColorDialog and clipboard with PyQt5. You can read documentation from the official website. 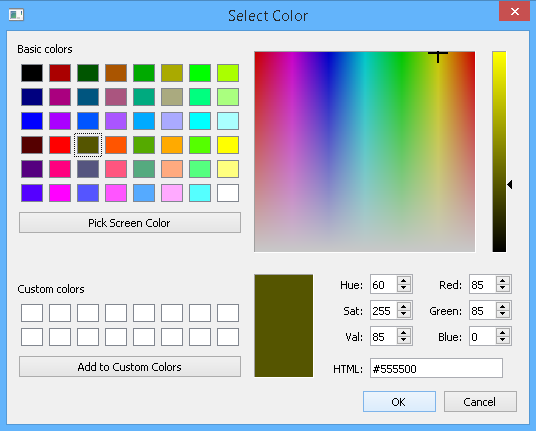 This example used a tray icon with actions for each type of code color. The code of color is put into clipboard area and print on the shell.